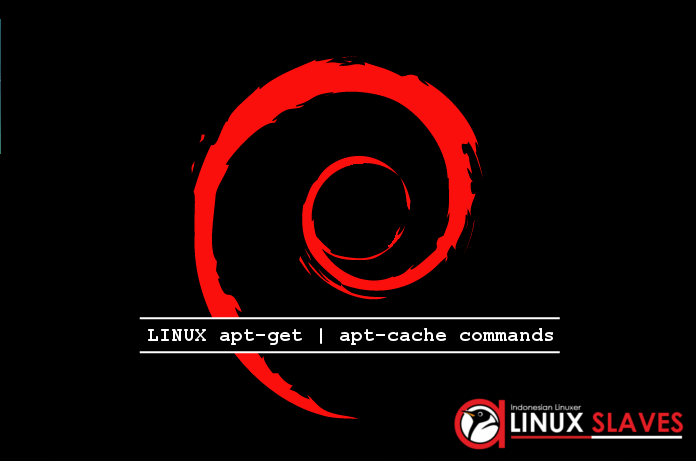 APT-GET and APT-CACHE Tutorial - Now we talk about linux commands again. Using CLI (Command Line Interface) in your terminal is really important things you should to learn. Why make it important? This is the basic for learn Linux. It's practice, simple and efficient ways to install/run/configure applications. The others things make this important is not all of Linux tools has GUI (Graphical User Interface). I made this article to tell and explain for beginners about apt-get and apt-cache commands for manage the package in Linux. Start from the description, APT is acronym for Advanced Packaging Tool, the command-line tool for working with APT software packages. It is an evolution of the Debian .deb software packaging system which efficient, rapid, and of course practical way to install packages on our system. Dependencies are managed automatically, configuration files are maintained, and upgrades and downgrades are handled carefully to ensure system stability. This command should always be performed before an upgrade or dist-upgrade. The indexes are fetched from the location(s) specified in /etc/apt/sources.list. It means re-synchronizes the local index of packages files, updating information about new and updated packages that are available. We'll see a list of servers we are retrieving information from. y run apt-get update, our database should be up-to-date. Installs the newest versions of all packages currently installed on the system, using the sources in /etc/apt/sources.list. If a package is currently installed and a new version is available, it is retrieved and upgraded. Under no circumstances are installed packages removed, or packages not already installed retrieved. New versions of currently installed packages that cannot be upgraded without changing the install status of another package will be left at their current version. An update should always be performed first so that apt-get knows which new versions of packages are available. in addition to performing the function of upgrade, we can use the "dist-upgrade" argument, which attempts intelligent dependency resolution for new packages and will upgrade essential programs at the expense of less important ones. The dist-upgrade command may therefore remove some packages. Used in conjunction with the traditional Debian packaging front-end, dselect. dselect-upgrade follows the changes made by dselect to the Status field of available packages, and performs the actions necessary to achieve that state (for instance, the removal of old and the installation of new packages). You can see those command, we install 3 packages at the same time by one hit. In this case we install gimp, moc, and moc-ffmpeg-plugin. Moc means Music On Console which make we can play our favorites music in terminal. How to remove appication or packge in linux? This command will answer this question. Using apt-get remove is one of some ways that we can remove package or application. This command removes the package, but keeps the configuration files in case you install the package again later. So, your settings will remain intact, even though the program is not installed. But, it's different things from apt-get remove which still keeps the configuration files. By using apt-get purge we will completely uninstalls the package and removes any configuration files associated with the package. So, if we don't want to keep our configurations, we can use apt-get purge. Autoremove is used to remove packages that were automatically installed to satisfy dependencies for other packages and are now no longer needed. In another words its mean to remove any packages that were installed automatically to support another program, that are no longer needed. It will clears out the local repository of retrieved package files, removes everything but lock file from /var/cache/apt/archives/ and /var/cache/apt/archives/partial/. When APT is used as a select method, clean is run automatically. This will clean up disk space. Is a diagnostic tool. It updates the package cache and checks for broken dependencies. Next, we'll talk about how to use apt-get commands with options. There's some example in this point you can learn. Do not upgrade packages; when used in conjunction with install, no-upgrade will prevent packages on the command line from being upgraded if they are already installed. We can only download any package without installing by add ‘download‘ option. For example, the following command will only download ‘virtualbox‘ package to current working directory. So that's all I can write about Basic Commands of APT-GET and APT-CACHE for Package Management. Hope you've enjoyed reading this tutorial as much I’ve enjoyed writing it. Please comment with feedback to support us. Thanks for visit.